Thirty-one years since Arnold Schwarzenegger first faced the lethal alien creature hunting him and his comrades through the jungles of Central America, the iconic Predator franchise is being brought up to date by director/writer Shane Black. “We had to make it modern,” explained Black. “I think what we've done is try to get a different feel, to expand upon and slightly magnify the impact that The Predators have on Earth. Instead of just limiting it to a small cast in a minor setting, we've allowed it to sprawl a little more,” he adds. The movie is not just about the warriors from outer space; there’s also a strong human element. 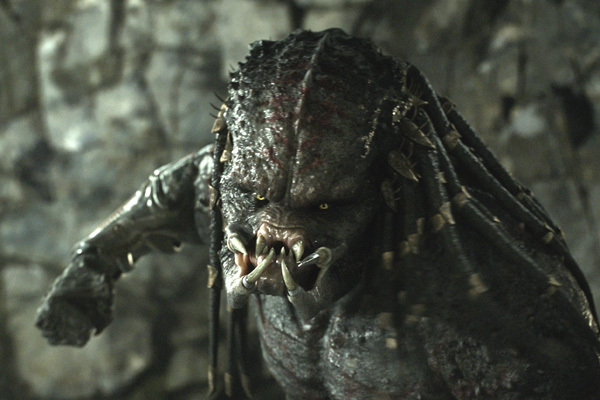 Black has made a career of bringing realistic tough guys to life, and for The Predator’s story, he found the perfect outlet for his talents in McKenna and his cohorts. “I wanted to take the traditional tough guy unit of multi muscled commandos and play with that a little bit. They’re this sort of a leaner, meaner group: the Dirty Dozen of it, as opposed to the kind of perfect SEAL Team Six version. Guys who are compromised, or a little damaged, and have to prove themselves; in some ways, they represent the least likely bunch you'd expect to take on a threat from outer space, one that even the Army can't stop. It all comes down to these guys,” Black said.